Lise Sculland began her long and amazing riding career in 1955 by dropping her immaculate bike, a 1954 Harley KH, on her first attempt. Some riders who have had similar experiences never got back on a bike again, but Lise has never been a quitter! Now, 60+ years later, with hundreds of thousands of miles under her belt, she is still riding and loving it! 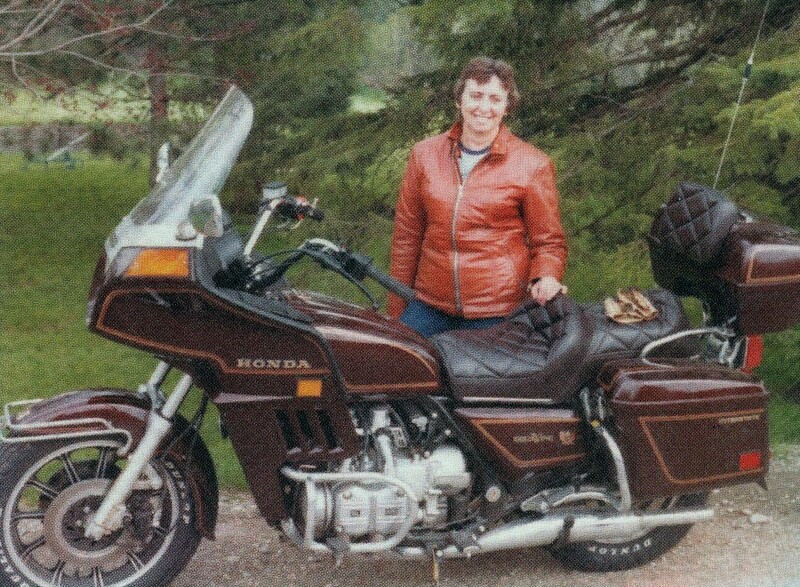 Perhaps it was this early experience that motivated her to encourage and mentor other new riders, especially females, to seek and enjoy the pleasure that riding motorcycles safely brings. 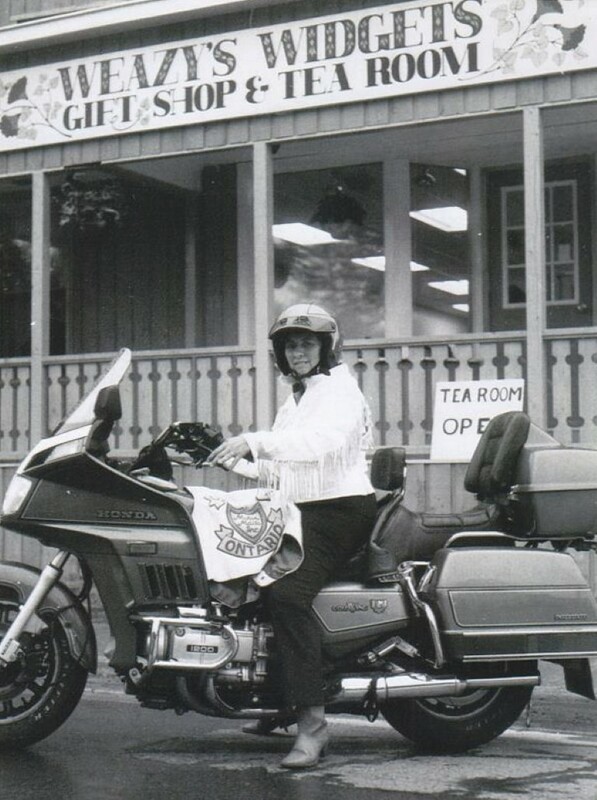 Over her long and extremely successful riding career Lise has always been a helpful, contributing member of at least a score of active and respected motorcycle clubs. 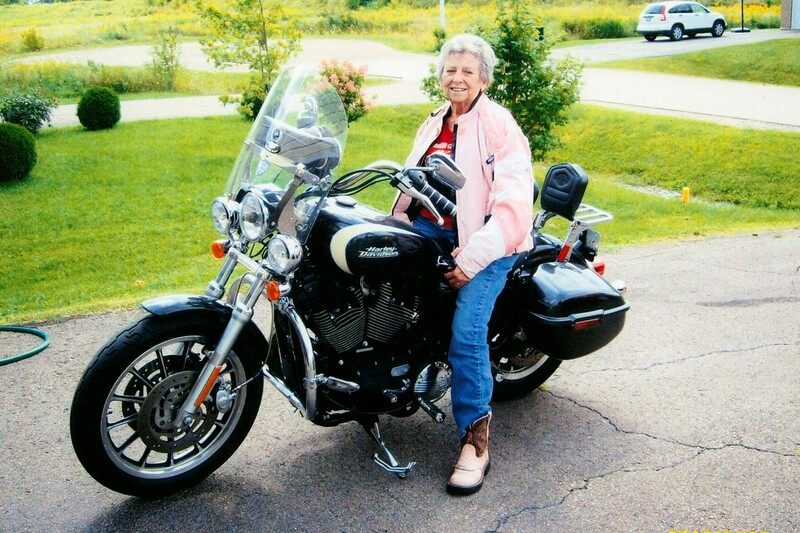 She and her husband Harry, also an avid rider, were founding members of the Ottawa "Sunset Riders" motorcycle club back in the early 1950s.For many years Lise was the only female member but eventually she managed to attract other ladies to join and participate. Lise always set a good example for her fellow riders by being safety conscious and creating a good image of a motorcyclist with her immaculate riding gear and big bikes. During her long riding experience Lise has ridden and owned an impressive list of usually big motorcycles, mostly Harleys, but including other brands such as 3 Gold Wings. This "hands on " experience has enabled her to guide other riders and permit them to benefit from her experience and knowledge. Her cheery disposition and sense of adventure has always helped Lise make new friends and drawn so many new riders, mostly female, into the sport. 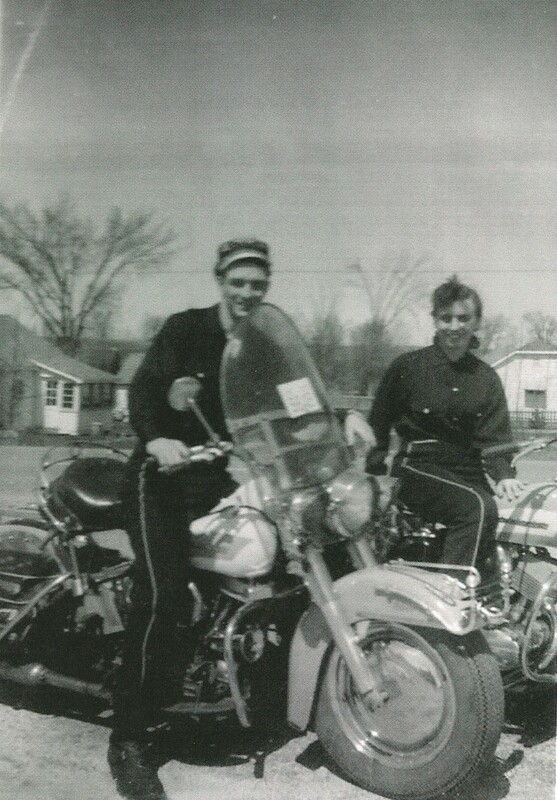 In 1964, Lise became very actively involved with a well known and highly respected group of female motorcycle enthusiasts called the "Motor Maids." 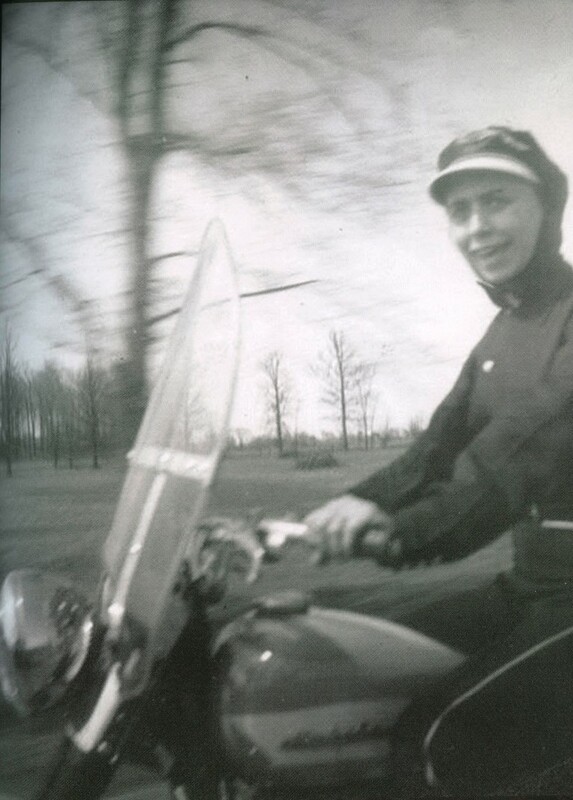 This amazing group, formed in 1940 by Linda Dugeau in the US, has played an important role in attracting female riders into the wonderful sport of motorcycle riding. Lise has been an active member and supporter of this organization for well over 50 years. 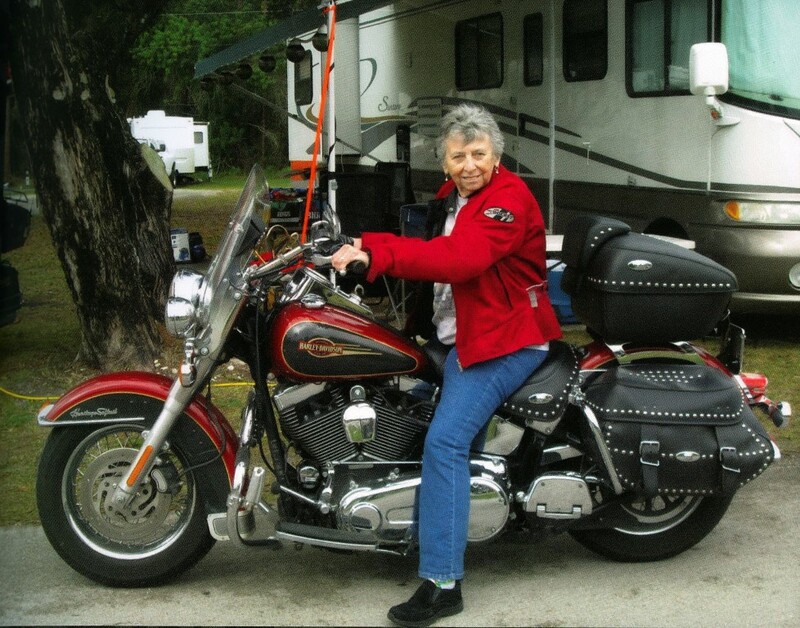 In 2016, she was presented with the Motor Maids' prestigious "Golden Life Award" for her outstanding contributions to motorcycling. Lise has played a significant role in the success of this group, even rising to the position of International Vice President for Canada. 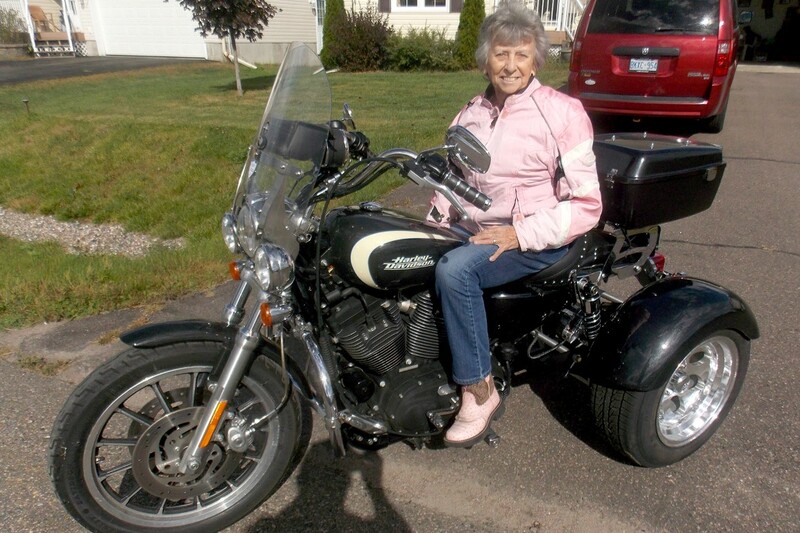 Over many years, activities with the Motor Maids has led Lise to do a great deal of riding in both the US and Canada to attend meetings and events. She participated in the Motor Maids' precision drill team and performed at many famous motorcycle races and other big events across the country. Her skill as a rider and organizer helped impress observers who enjoyed seeing the talented ladies perform. Whenever possible, Lise rode her bike to Motor Maid meetings and events even as far away as California, Texas or New Mexico. To make riding possible during winter months Lise and Harry bought a winter home near Daytona Beach, Florida. This enabled Lise to play a more active role during Daytona's "Bike Week" and permitted her to extend her riding season. The passion and dedication she feels as well as her skill and knowledge as demonstrated over 60 years has won her the friendship and respect of a huge group of riders, many of whom she encouraged to become riders. Her goal in life seems to be to share her love of motorcycling with as many people as possible and to encourage them to get involved in this rewarding sport. Recently her dedication and service to fellow riders was recognized by Prime Minister Trudeau who presented her with an award for her outstanding contributions as a Canadian. She has for many years served as an ambassador for motorcycling and as a model for others in this sport. Lise has gained the respect of all who get to know her! Her two sons Frank and Barry, as well as her husband Harry, think her accomplishments are amazing and give her their full support and admiration. Her contributions as a wife and mother are also exemplary. Harry and Lise are still active riders and still feel the passion that riding brings. Lise currently rides her 1200 Sportster every chance she gets. 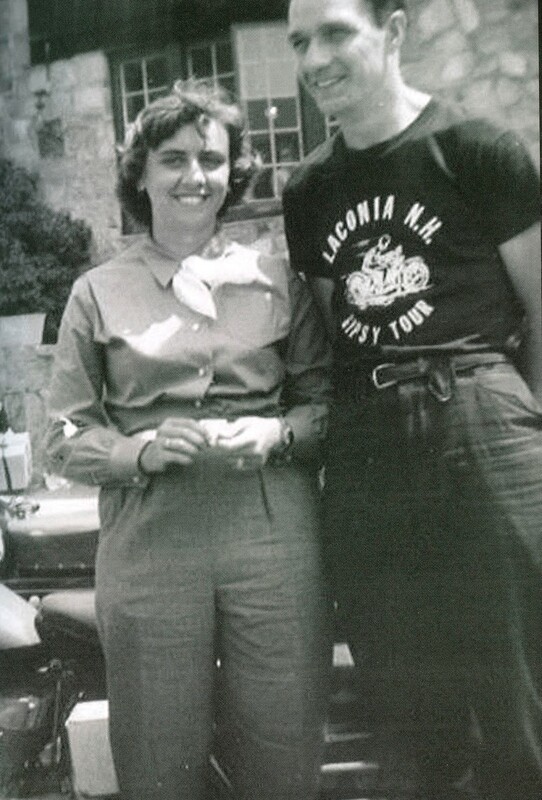 Whether it's Daytona Beach, Laconia, Mosport, Calabogie or any other of the famous motorcycle racing sites in the US, Lise has likely been there and done that and even has the tee shirt! What an amazing Canadian motorcycling legend!